Long stemmed pink lilies with silver eucalyptus and other silver foliage. 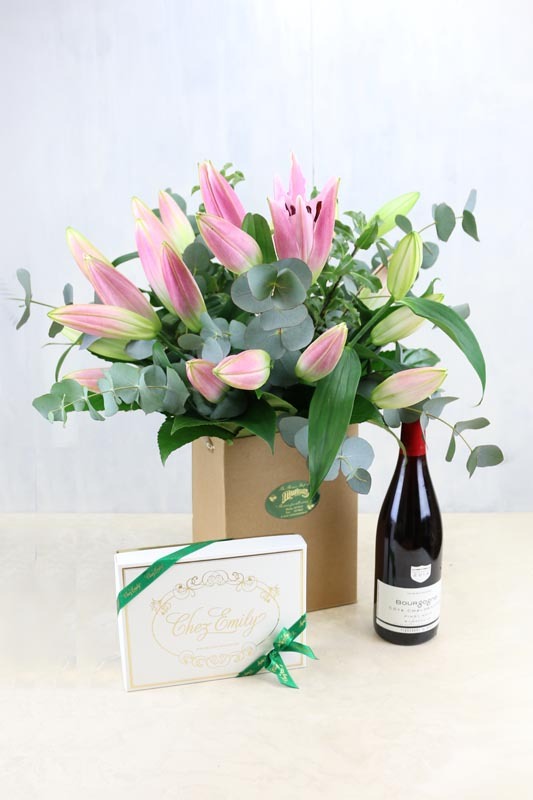 Gift Set Lily Pink & Red Wine includes a bottle of Vigerons De Buxy Bourgogne Pinot Noir and Chez Emily Irish Chocolates. 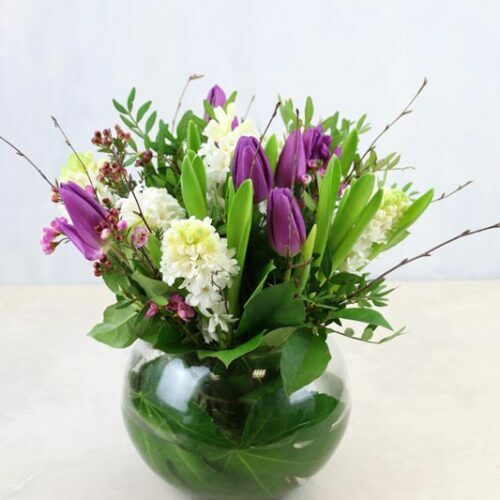 Flowers are aqua-packed and delivered in water for instant display. Same day delivery guaranteed, Monday to Saturday on all orders before 12pm. Please note that due to seasonal availability of flowers it may be necessary to vary individual stems from those shown. Substitute flowers will be similar in style, quality and value. Please note if this wine is out of stock it will be replaced by a similar wine and the same value.